Map Guide to Swiss Parish Registers - Vol. 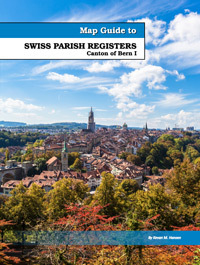 1 - Bern I is the first of two volumes covering Canton Bern. The second volume (Bern II) covers the rest of historic Canton Bern - and includes the current Canton of Jura). Click on the link to go directly to that page.